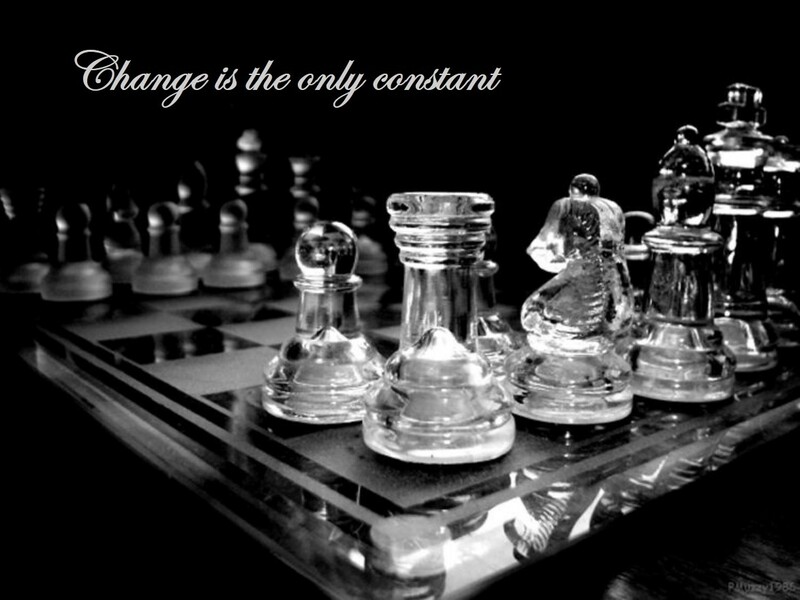 Now we have looked at many examples featuring the battle between a king + bishop vs a king + bishop + pawn on the 7th rank. 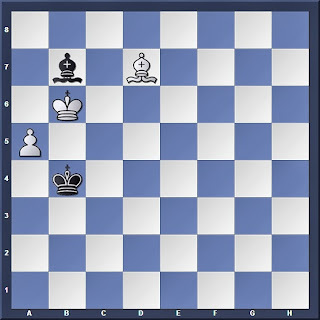 Now, using the ideas which we have learnt in Part 1, let us learn how to successfully advance a pawn that is as far back as the 5th rank. Let us have a short analysis of the position... both bishops are on similar coloured squares, so that's a plus for the stronger side (White). Black's king is close to the enemy pawn and directly opposes White's king, which makes White's job of winning more challenging. However, also note that the pawn is a wing pawn; and based on what we've learnt in Part 1, this means good winning chances for White. The question now is... how is White going to do this? White has successfully chased Black's bishop away from the longer diagonal. Now, Black has to attempt to switch to the shorter, a6-c8 diagonal. And obviously not 4. Kxb7?? Kxa5! with an instant draw. Looking at the position, it is not hard to tell that Black is in zugzwang-- his bishop has no free squares along the crucial a6-c8 diagonal. 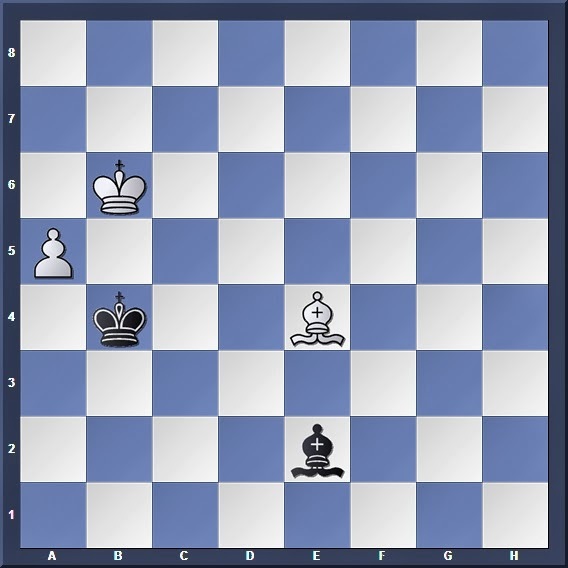 Now, any king move allows 5. 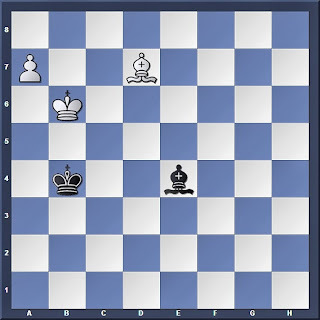 Kxb7, while any bishop move along the h1-a8 diagonal allows the pawn to be advanced safely up the board. 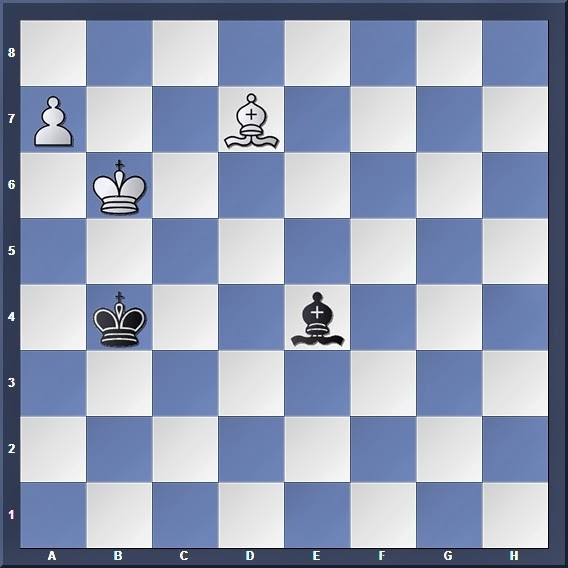 And yes-- this is similar to the idea that we have learnt in Part 1, where the weaker side will run into zugzwang if one of the diagonals has less than two free squares for his bishop to shuffle on. 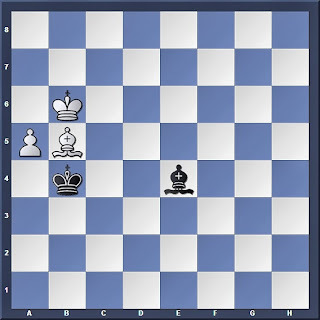 White's plan was simple: First he chased off the defending bishop from the long diagonal, and forced him to switch defense to the fatally short a6-c8 diagonal. 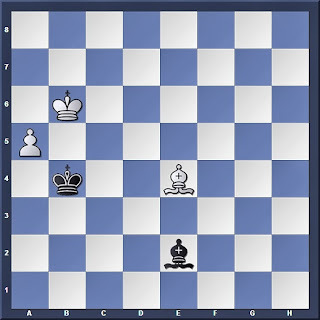 Then, by exploiting the fact that the a6-c8 diagonal has less than 2 free squares for the defending bishop to move on, he forced Black into zugzwang, and advanced his pawn to victory. Almost similar to what we've learnt in Part 1! In Part 3, we will continue to look into other endgame positions featuring bishops on similar-coloured squares.